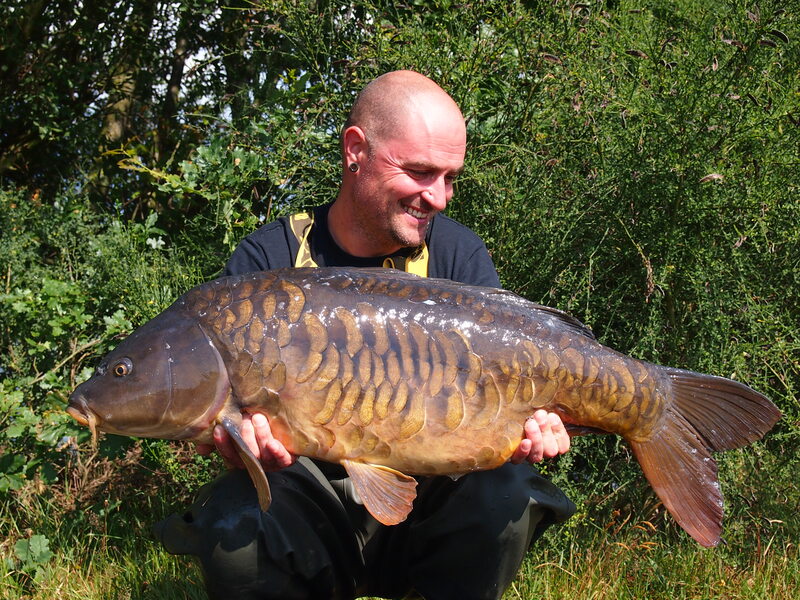 A quick, day-only session for Solar Tackle team member Ignace de Roeck has seen him land carp of 33lb and 29lb from one of his syndicate lakes in very quick order. Targeting a 25-hectare, deep water that is known for being quite tricky Ignace targeted a shallow, margin spot, presenting Solar’s 20mm Red Herring hook baits on size 4 Stronghold 101 hooks over a scattering of matching freebies. Using the session mostly as reccy trip and a brief escape from working life, it was mid afternoon when the first rod burst into life. After a powerful fight Ignace slipped his net under a 33lb mirror. Less than an our later he was in again, this time a 29lb plated mirror being the culprit, which is a fish Ignace also caught last year. Solar Tackle’s The Originals baits, including the Red Herring, will be released at the and of August. What are your targets for 2011?